(U.S. Senate) – U.S. Senator Jon Tester today introduced legislation to defend Montana’s hunting heritage and fight the spread of Chronic Wasting Disease as more cases of the neurological virus are identified in Montana. Chronic Wasting Disease has been prevalent in 21 states across the west, infecting white-tail and mule deer, elk, and moose-including in multiple states that border Montana. Tester’s bill will immediately provide wildlife management agencies with resources to stop the spread of the disease that could impact big-game hunting and diminish Montana’s growing outdoor economy. Sportsmen from across Montana have endorsed Tester’s bill. Tester’s bill will authorize $60 million to help state and tribal wildlife management agencies stop the spread of Chronic Wasting Disease. These funds create new research grants to better understand the disease, allow states and tribes to develop and implement management plans, and establish a rapid response for newly infected areas. There have been at least five identified cases of Chronic Wasting Disease in Montana, four along the Montana-Wyoming border and one north of the Hi-Line near Canada. 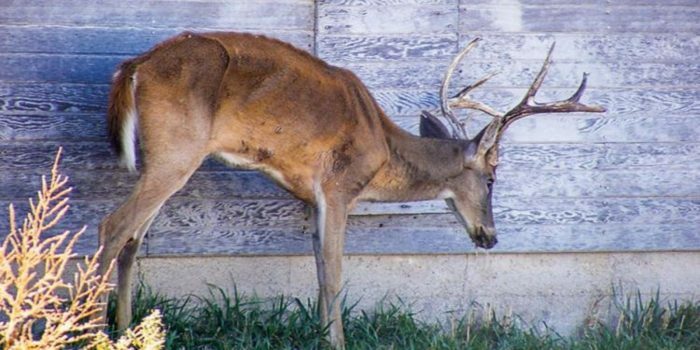 Montana Fish, Wildlife, and Parks recently sold 1,200 additional deer licenses for a special hunt to determine the prevalence of Chronic Wasting Disease in Montana. In Wyoming, Chronic Wasting Disease has led to a 21 percent annual decline in the mule deer population and a 10 percent decline in the white-tail deer population. There is not a known cure for the disease. Before the recent infection of Montana deer, Montana was Chronic Wasting Disease free for nearly 20 years. Hunting is a major component of Montana’s outdoor economy, which sustains more than 70,000 jobs and generates $7.1 billion in economic activity annually. Tester’s bill is available online HERE.